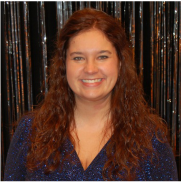 Kathy is the Vocal Music and Musical Director for Bremen Public Schools as well as the Auditorium Director. She is also a member of the Argos United Methodist Church Praise Team. Kathy lives in Bremen with her black Labrador Tank. She enjoys cooking, reading, and sleeping! She also is a musical theater junkie and tries to attend as many productions as she can. 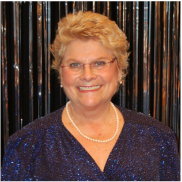 Kathy has been a member of the Maxinkuckee Players for 15 years and the Singers for 8. Betty tickles the ivories for the Maxinkuckee Singers. She retired as the choir director at Rochester Middle School. Betty currently directs the adult and hand bell choirs at Grace U.M.C. in Rochester, and is an active member of Psi Iota Xi philanthropic sorority. She and her husband Mark have two daughters - Katie and Sadie. The family has traveled to many national parks throughout the years, with Glacier and Yellowstone being two of their favorites. Lenore is happily married to Jeff, her husband of 30 years and we live in Plymouth. They have two sons; Brandon and Taylor, and own Anco Office Products in Plymouth. Lenore and Jeff attend St. Michael Catholic Church. Joy lives with her husband Brian in Plymouth. She is very active in her church and laves to garden and travel. A lover of all things Snoopy and a graduate of Culver High School, Julie lives in Delong with her husband, Tony Scott, and works at 1st Source Bank. Sarah loves to sing, entertain, and drink Mountain Dew. The worship leader of the Bremen United Methodist praise band, Sarah is also a youth group leader. A part of Maxinkuckee Players and Singers for 28 years, Becky has directed 7 of the past productions and had several leading parts over the years. With 7 grandchildren and counting, Becky lives with her husband Brian in Plymouth. Laura and her husband Arnie enjoy growing Christmas trees, golfing, and traveling. Laura also enjoys running, native plant gardening, and photographing nature and people. Wendy is a married mother of two from Plymouth. She has a great time singing, laughing, and spending time with all the wonderful friends she has made in the Singers! Currently President of the Maxinkuckee Players and a 33 year member of the Singers, Dan is a retired 8th grade math teacher living in Culver. Brian works at an insurance agency in Plymouth and lives south of town with his wife Becky. Married for 34 years, Doug and his wife Betty have two adult children. Doug is a self employed machinist, and has always been involved in music. Doug sings at his church and had his own wedding band for 15 years. Thomas currently serves as the choir director for the First United Methodist Church in Plymouth, and sings Tenor with the Maxinkuckee Singers. Living in Bremen with his wife Cha, Matthew is the Director of Bands for Bremen Public Schools. In addition to singing, Matthew enjoys movies, playing board games, performing on a variety of instruments, and updating this website.